International providers who can help you with taxation planning, non-residency preparation, FATCA compliance, second citizenships, seeting up offshore LLCs in your IRA, or just simply filing your returns. Retirement solutions for retirees with little or no savings. The environment of financial repression has resulted in low investment yeilds & virtually 0% interest rates, making it difficult to retire on one's savings without using up the savings capital directly. We have low-cost, high-quality solutions which may be of interest. Consider investing using the principles of the Austrian School of Economics. This is a growing trend, and we have partner wealth management firms which specialize in this approach. Read our white paper and Incrementum's new book to understand this new investment approach and its advantages and benefits. 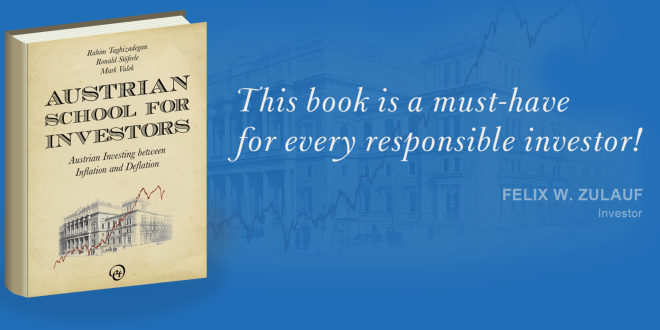 Dr. Marc Faber on the Book: "I am grateful to the authors of this book for not only highlighting the fundamental principles of the Austrian School but also for showing how investors can make practical use of them." Bill Laggner and Kevin Duffy manage the Bearing Fund using an Austrian School of Economics lens in terms of identifying boom-bust cycles, value in the market place, bubbles, and distortions created by both fiscal and monetary authorities. Bill is a graduate of the University of Florida (BS in Finance with honors). He began in the investment industry in the late 1980s, initially as a stockbroker and then moved to the buy side at Fidelity Investments. He left Fidelity in late 1998 to manage his own investments. Bill has been featured in Barrons, Reuters, CFA magazine and Business Insider. Bearing Fund was one of the top performing macro funds during the last bubble implosion in '07-09. 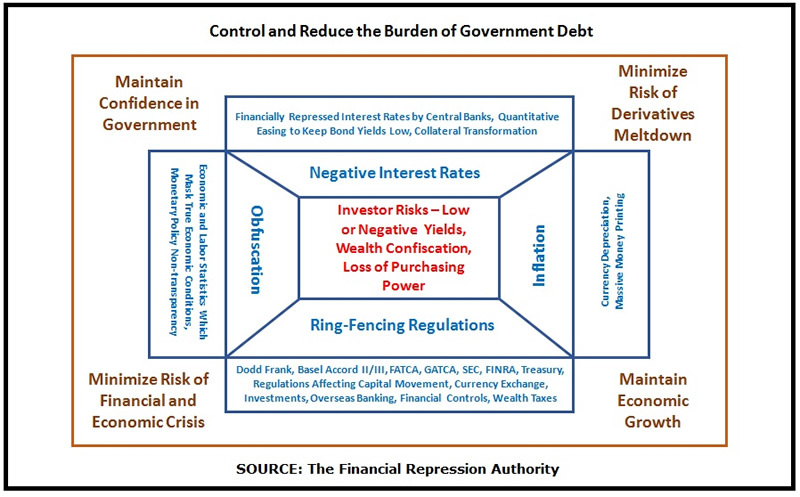 Bearing Asset Management created the Bearing Credit Bubble Index (available on the net) which features the various enablers of the last bubble beginning in 2004-05. Click on the contact button below to fill in the contact form - you will receive Bearing Asset Management's "Stimulus Bubble Opportunities" deck - lots of charts & information! 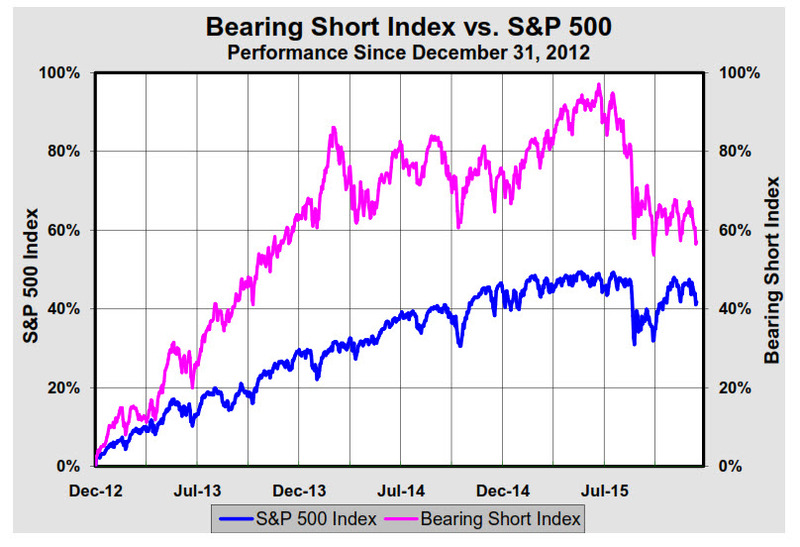 From its all-time high set on June 23, the Bearing Short Index is -20.3%. Over the same period, the S&P 500 is -4.8%. Of the 53 stocks in the index, 11 are down over 40% from their 52-week highs while 5 are down over 60%.In other words, the past six months have been ideal for short sellers and miserable for a number of high profile hedge funds which have been long many of these formerly highflying stocks. This underlying damage is being masked by the averages, propped up by the so-called “FANG” stocks: Facebook, Amazon.com, Netflix, and Google. Since June 23, these four stocks are up on average 31.5%. Such a divergence is typical as an equity bubble is nearing its end, what we refer to as the “casino effect.” Essentially, as betting tables begin turning into losers, the compulsive gamblers refuse to leave the casino, instead gravitating to a smaller and smaller number of winning tables. At that point, the end is fairly predictable: no one leaves with any money in their pocket.